A month ago I got the short entry trigger in the copper futures. The idea started to emerge this February, and I was watching copper closely from that time and posted updates for you. And you witnessed how I moved entry triggers higher and higher until the price has finally pushed below the last one. And this was the true benefit of avoiding simple guessing to wait for the signal. 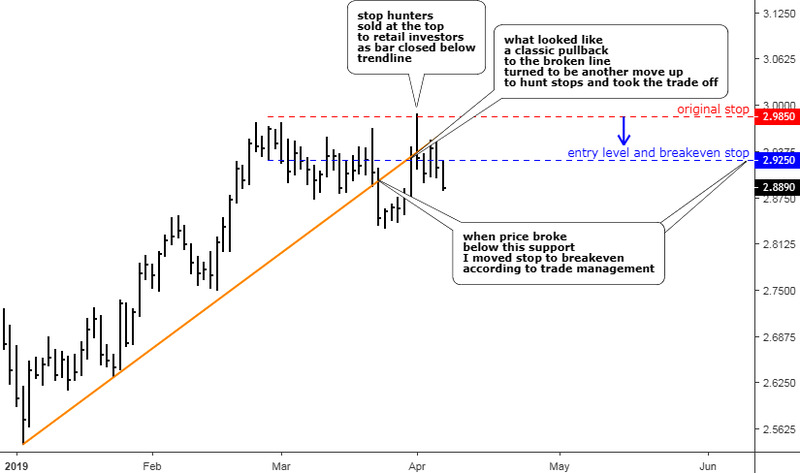 In the chart below I would like to show you how that trade was managed and what the outcome was. 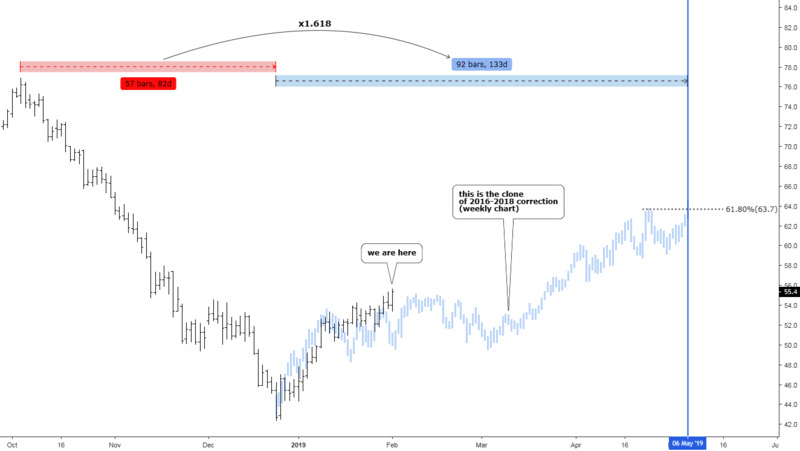 Last time I updated the gold chart at the beginning of the year I focused on the long-term consolidation, which has started at the end of 2015 and has a tricky structure as all corrective stages do. I shared with you the three most feasible options of structure development. The first one implies the straight move up beyond the former top of $1375 (blue labels), it took only 22% of your likes. The second option, which you liked the most (48%), offers triangular consolidation (green labels). The third alternative (red labels) gained 30% of your support, and it could bring gold back down to retest $1122 area before it goes up. I am proud to have such smart readers of my posts as most of the time you accurately predict the market behavior as last time you did it with a Santa Claus rally of precious metals. These days I spotted one notorious pattern, which could terminate the first option, which collected the least support from your voting, that amazes me again and again. 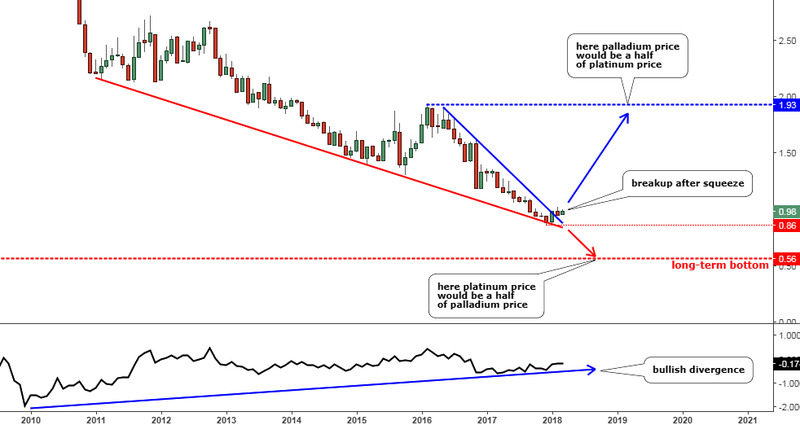 A year ago I wrote about the platinum/palladium ratio as it was on the edge, and there were two possible options, to restore the historically normal supremacy of platinum (target 1.93 oz) or to prolong the triumph of palladium (target 0.56 oz.). This month the Platinum/Palladium ratio hit a new record low of 0.55 oz. amid the rocket move to the upside in the palladium market; the latter became the most precious metal beating gold. Let’s take a look at the big picture below.